Colorectal cancer is the second biggest cause of death as a result of cancer in the United States. Colorectal cancer is also the third most common form cancer in both men and women. Colorectal cancer costs the economy billions of dollars every year and robs families of their mothers, fathers, brothers, and sisters. I’ve already written about the 11 steps to reduce your risk of getting colorectal cancer, as well as 10 warning signs of colorectal cancer you shouldn’t ignore. Read on to find out why grape seed extract can outperforms chemo in killing colorectal cancer cells. Surgery, radiation, and chemotherapy are the mainstream therapies for cancer that medical practitioners offer, but for colorectal cancer patients, a study published in the Technologies in Carcinogenesis and Cancer Chemoprevention journal offers renewed hope and more. The study highlights the fact that failure in colorectal cancer therapy using chemotherapy often occurs as a result of patients becoming resistant to the effects of the chemotherapy. Chemotherapy resistance occurs frequently in many cancers and is particularly prevalent in colorectal cancer therapy. Once cancer cells become immune to chemotherapy, doctors have normally run out of answers. This study shows that grape seed extract targets colorectal cancer cells even when the cancer cells are immune to chemotherapy, offering hope to those who have developed chemotherapy resistant and who have been given no hope by mainstream medicine. There are various stages in cancer development that are important. The start of the tumor is called carcinogenesis. Compounds that cause cancer are therefore called carcinogens. Grape seed extract contains active ingredients called procyanidins. These compounds prevent the formation of new cancerous tumors by preventing carcinogenesis. Carcinogenesis is particularly important in certain aggressive cancers like colorectal cancer because if the treatment only kills cancer cells without preventing new tumors from forming, then no matter how many cancer cells you kill – there will always be new tumors to kill and you are essentially fighting a losing battle. In a study published in the Journal of Carcinogenesis, the procyanidins isolated from grape seed extract contain high anti-tumor promoting properties due to the antioxidants contained in the extracts. Free radicals and oxidative damage is one of the underlying causes of cancer. Oxidative damage can damage cellular DNA and when cellular DNA is damaged, cancer can be the result. By removing oxidative compounds like reactive oxygen species and free radicals, antioxidants can play a vital role in preventing cancer. Grape seed extract is a powerful antioxidant and it may therefore help to prevent new tumors from forming in the first place. For cancer to survive in the body it needs to start, grow, and it needs to be supplied with nutrients and then it can spread. These processes of creating a blood supply for the tumor is called angiogenesis. Angiogenesis not only supplies the tumor with a blood supply but also supports the spread of cancer via the blood stream. For a cell to survive and thrive, it needs the nutrients to support cellular function. As tumors grow bigger, they need new blood vessels to be formed to continue to feed the tumor. Compounds that can prevent the formation of these new blood vessels can be extremely helpful in treating the disease. According to a study published in the International Journal of Cancer, researchers showed that the compounds in grape seed extract offered anti-angiogenesis properties. In essence, grape seed extract prevented the tumor from creating new blood vessels to help fuel the growth of the tumor. Apoptosis is a fancy medical term for programmed cell death. Every cell in your body is designed to commit suicide at a certain time. Cancer cells differ from normal cells because something has interfered with that process. Cancer cells therefore live longer than normal cells and this is the mechanism that allows tumors to grow and flourish. Grape seed extract has the ability to target colorectal cancer cells and to induce apoptosis in those cells only. This means that grape seed extract triggers suicide in the cancer cells and leaves healthy cells intact. Very few, if any, chemotherapy regimens have the ability to do this. Most chemotherapy drugs kill all cells including healthy cells. This effectively means grape seed extract is less destructive in its application than conventional chemotherapy. The more advanced the cancer, the less chance there is that chemotherapy will be effective at treating colorectal cancer. Once again, grape seed extract offers hope for those patients diagnosed with advanced stage of colorectal cancer. In the Technologies in Carcinogenesis and Cancer Chemoprevention study mentioned above, scientists not only showed that grape seed extract targeted colorectal cancer cells and killed them, but also proved that the more dangerous and advanced the cancer cells were, the more effective the grape seed extract seemed to be in terms of isolating and killing the cancer cells. The ability of grape seed extract to help prevent and treat colorectal cancer may sound too good to be true, but there is more. Grape seed extract is not only effective for colorectal cancer but may be effective in various other types of cancer too. We like to believe that mainstream medicine has all the answers but it often lets us down. Mother Nature offers a myriad of amazing plants and other herbal extracts that can offer some hope where there seems to be none. Grape seed often comes in standardized extracts with certain levels of proanthocyanidins (powerful antioxidants). It is recommended to look for products that are standardized to 40 to 80% or an OPC content of not less than 95% (like this one or like this one). Speak to your doctor to find the right dose for your condition. J Nutr. 2009 Sep; 139(9): 1806S–1812S. This is quite interesting and highly educative. Though i am not a cancer patient but i appreciate this greatly since it can benefit friends and relations around. 1. 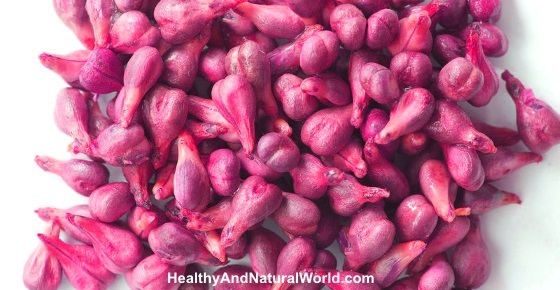 Can a non-cancer patient eat/swallow the seed’ say for prevention purpose? 2. How can one get the product in the Nigerian market. As for your first question – even non cancer patient can benefit from grape seed extract as it has many other health benefits that you can read about them here. In addition, the high antioxidant levels may help reduce the risk of developing cancer, but you must remember to consult with your doctor before taking any supplement to make sure it doesn’t interfere with your current medications and to establish the correct dosage for you. As for your second question – I don’t know specifically where to get it in Nigeria, but generally speaking you can get the extract in health food stores or online (like Amazon, but check if they ship to your country). Is there a specific brand that’s better than another? Hi Don, I cannot recommend specific brand, but grape seed extract is a form of the natural flavonol called oligomeric proanthocyanidins (OPCs). Some supplements have a very low concentration of OPCs and are not effective enough to justify the cost. For example, looking on Amazon, I’ve found products that contain different concentrations 50% OPCs, 90% and 95%. I have read that only supplements which contain a concentrations of OPCs of 85% or higher are beneficial. Hi Aamir, I’m not sure specifically about Pakistan, but grape seed extract can be bought in some health food stores, some drug stores or online. Super benefits of various foods and supplements are increasingly being used in the media as a marketing tool to promote one product or another, so I’m wondering about the research behind these assertions – not saying that you have a vested interest – simply that I’d like to know the source of the information. Any studies that confirm the statements in this article? At the end of the article you can find the resources for this article. Can someone eat grapes every day and get the same benefit? Grape seed extract is much more concentrated. You will need to eat a very large amount of grapes with their seeds to get the amount required. Is Grapeseed oil as beneficial? I don’t think so as in the study the researchers used a substance that was isolated from grape seed extract and not from the oil. Of the two products one Jarrow is 95+ OPC at 100MG, the other, Best Naturals is 95% OPC the label on the back states a minimum of 50% OPC at 400 mg ? I am not sure where the “minimum 50%” is written on the label. I’ve noticed that the label shows “95% polyphenols” but I suggest you contact directly the seller of this product and post any updates here.